Many of the readers of Great Leadership are probably familiar with the field of executive coaching; in fact, some of my favorite regular readers and commentators are coaches. There’s probably also a good percentage that are only vaguely familiar with coaching, and a few that have never heard of it. In a nutshell, executive coaching is a series of on-going, regular one-on-one, confidential sessions between an executive and an external (or sometimes internal) expert who specializes in working with seniors leaders. A few months ago, Harvard Business Review conducted a survey of 140 leading coaches in order to find out more about this mysterious industry. Despite the widespread use of executive coaches, little is widely known about who they are, what they do, and how much they earn. No matter what your level of familiarity with coaching, I think you’ll find the following summary of the research (and maybe my commentary) to be enlightening. 20 years ago, I had never heard of executive coaching. 10 years ago, coaches were mostly hired to fix obnoxious CEOs or high level executives who knew how to get results, but left a wake of bodies behind them (i.e., Bob Nardelli). It was usually a clandestine kind of work, and certainly nothing you’d want to admit to needing as an executive. Now, it seems that most companies hire coaches to work with their high potentials, or when an executive is hired or promoted to help them through the transition. I see this as a positive trend and a smarter use of limited leadership development dollars and time. Invest in your “A” players, and use performance management for your “C” players! The median hourly cost of coaching is $500.00 – the cost of a top psychiatrist in Manhattan! Some charge as much as $3,500 per hour – the cost of a high priced Manhattan… well, never mind. For a profession that requires no formal degree or accreditation, I find this to be absolutely mind blowing. The reported length of a coaching engagement is 7-12 months, so we’re looking at about a $15-20,000 tab when all is said and done. I’m a capitalist, so I have no issues with people being paid whatever someone is willing to pay them. It’s no wonder so many of my colleagues in our field have turned in their training binders and hung out their coaching shingles. Barriers to entry are nonexistent; it requires no equipment, little or no written materials, can be done from your pajamas (telephone), and can be combined with all kinds of other work (writing, consulting, training, presentations, blogging) to make a very decent living. While it’s a lucrative field, I suspect it’s quite crowded as well - kind of like real estate agents. It take’s a lot of hard work and expertise to build up a clientele. I’ve dabbled in it, and I’ll tell you, it’s not as easy as it looks. I’m just good enough at it to know when to turn to someone who’s really good at it. Do coaches get involved in personal issues? 1. Are you frequently hired to address personal issues? 97% said No. 2. Have you ever assisted executives with personal issues? 76% said yes. These two questions and responses get at the heart of one of the most important and controversial questions in the coaching field: should coaches cross the line from work to personal? A lot of coaches I talk to say that you can’t separate the two – in order to get at the root cause of underlying behavioral issues that show up at work, you have to get into the personal side. Others say absolutely not, they draw a clear line between leadership behavioral change and therapy. There’s no clear consensus. I’m on the “don’t mess with the personal side” side of the fence. A coach should know when therapy might be needed, and when to make a recommendation. But that’s just my personal opinion. Here’s where I have a problem: organizations think they are buying one thing, and coaches are giving executives something else. Many of them probably aren’t even aware it’s happening – they get seduced into a form of psychotherapy without even knowing its happening. It’s even more tempting, albeit less potentially damaging, if a coach has a clinical background. In fact, many companies require their coaches to have psychological training. If a coach has this kind of background, it’s got to be that much harder to ignore their training. How necessary is psychological training? Again, coaches are all over the board on this one. On one hand, it’s useful to use formal certification as a screening tool when selecting a coach. However, there are so many different organizations that issue certificates, it’s hard to tell if they are worth anything (The International Coach Federation seems to be the leader). And some of the best coaches I’ve worked with have no formal certification. They are former executives that are good at developing others. This is actually a pretty darn good list; I’m going to use it. However, the most important factor to consider when selecting a coach is chemistry and fit; the executive has to be comfortable with the coach. When survey participants were asked to explain the healthy growth of their industry, they said clients keep coming back because “coaching works”. This may be true, but coaches don’t do a very good job of measuring the impact of their work and communicating its value to those paying the bill. While 70% of coaches surveyed said they provide qualitative assessment of progress, fewer than one-third ever give feedback in the form of quantitative data on behaviors, and less than one-fourth provide any kind of quantitative data on business outcome. Regardless of the lack of hard evidence of its effectiveness, coaching is hot. 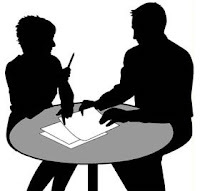 Most of the leadership development benchmarking and best practice reports I’ve read say that companies use or have started formal coaching programs. I’ve rarely talked to an executive that didn’t rave about the impact and results. 1. 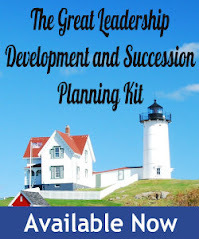 It can be a highly effective leadership development methodology, and should be a part of your leadership development arsenal. 2. Buyer beware – it’s the wild west out there, filled with experts and charlatans. Use the recommended selection criteria, get references, and always interview at least three potential coaches. 3. Insist on a way to measure results and a clear start and end point. 4. Know what you’re buying – clarify expectations regarding delving into personal issues. 5. Costs vary considerably, there is no industry standard. Shop around, and don’t be afraid to negotiate. 6. Ask to see the coach’s methodology. If they don’t have one, find another coach. Great summary! As a reasonably successful executive coach, I'm a big fan of clients doing lots of due diligence and holding the coach to a high standard of accountability. In my view, the more rigor in the client's process, the more likely the "charlatans" and those taking advantage of a trend will fall to the bottom of the heap. I'd add a couple of criteria to your list, though. First, the coach should include some collection of data or contextual information as part of their process, in order to ensure the work isn't being done in a vacuum - typically the involvement of an organizational sponsor or stakeholder can be enough, but assessment data can add huge value in terms of self-awareness. The other thing would be that the coach have a clear process of contracting up front - not only to ascertain the degree to which personal issues are considered in or out of the boundaries, but to clarify policy around cancellations, ownership of the agenda, confidentality, and so on. Finally, potential buyers of coaching should beware of the "time equals money" trap - with a clear methodology along with specific goals and measurement criteria, the coaching process is less about time spent and more about results generated - results that are meaningful not only to the client but to their organization. Home Run on all counts, Dan. I had to actually laugh a bit. Because I started out in the training/OD Consulting realm, the "coach" thing made me look askance when it came on the horizon. One day a client said, "That's what you do with me." OK, I guess I'm a coach. Which speaks to your remarks about entry. One day I had trained and consulted for 20 years, the next day someone was calling me their coach. 1. Clear outcomes regarding results. 80% of all engagements go south because someone didn't get clear in the contracting phase. 2. Agreement on the nature of the engagement. I usually offer that "coaching may prove therapeutic but we are not engaged in therapy." 3. Has to be a business result. Doesn't always have to have a dollar amount but has to have a measurable, observable behavior attached. 4. I want to know who thinks they are entitled to a "progress report". Here's what I mean: As you know, I coach mostly C-level and one level below. One time I ran into a boss who pulled the "I'm paying for it--tell me what he is doing" move. My response was for him to follow up directly with the individual, since the "boss" was involved with, and aware of, the contracted results. It also was good diagnostically: the exec wasn't initiating with his boss, one of the long term results desired. Anyway, make it clear who is entitled to what is happening and how it is going. My rule: Only the direct client. It is that person's job to discuss how things are proceeding and to make sure those who have been involved (usually boss/HR/Talent Mgmt person)at least get a sense of forward motion. It is not my job to evaluate on behalf of the company unless that is clearly part of the contract and is known to all parties. a. Explain what I am experiencing and give evidence. b. Explain some of the ways that that situation could inhibit performance and career growth as it relates to our contract. c. Explain that our agreement does not allow for me to pursue that situation. d. Suggest that the individual may want to take the confidential EAP route and see if there is a resource who could help with whatever the issue happens to be. (Note): This may be a personal value but I believe that if you recognize the deep impact of a personal/emotional issue, ignoring it is not an act of true relationship. And the coach won't be successful in the engagement if there is an "elephant" in the room that goes unnamed. No one has to shout it--simply offer the path enabled by the company and hold fast to your business agreement. 6.Don't ignore chemistry between people. I've turned down prospective clients and they've done the same with me. It's important to lay out, in advance, exactly what your process is, how you operate, and what your boundaries will be. Spend some time together discussing the issues at hand and see how a cursory discussion unfolds. It's usually easy to tell whether the two of you are sympatico. Coaches who take the money regardless are setting themselves up for an unsuccessful engagement and a potentially bad reputation. Thanks for going into depth on this one, Dan. The issues are important ones. I enjoyed your balanced viewpoint on the coaching industry. As a management consultant operating in London I have become increasingly interested in coaching as a way of bringing about sustained behavioural change in managers and leaders - and have used it very successfully as part of my offering to clients. Here in London there are a number of professional bodies attempting to add some professional standards around the coaching industry - one of which you mentioned - the ICF (International Coaching Federation) I have been a member of another excellent body called the Association for Coaching (AC) who have an accreditation scheme, encourage regular coach mentoring/supervision and have a great CPD programme with regular events around the UK. Good post, and as a former HR executive who is now an executive coach, I have no quibbles with your cautions and advice. It IS the wild west out here, and with plenty of people getting laid off, the executive coaching field is being filled with people who have no credentials whatsoever due to the low barriers of entry in this profession. One point I'd like to make is that a good coach will engage a sponsor (usually the client's manager) in the coaching process. With written goals and an action plan that is agreed upon by all parties involved (client, sponsor, coach and sometimes HR), and with measurable outcomes, this is a distinguishing factor for executive coaching, in my opinion. When this happens, and with frequent 3-way touchpoints between the coach, client, and sponsor on progress in achieving the goals of the action plan, the concern about coaching someone on personal issues should be less of a concern. As long as the outcomes (as agreed upon by all parties) are being achieved, then a bit of coaching around whatever "personal issues" come up during the process shouldn't be of concern. Some client organizations I work with have explicitly stated that as long as a sponsor is involved and the client is making progress, some coaching in the "personal issues" arena is okay. In addition, the particular study that you cite (which I was also a participant in) doesn't define "personal issues". For instance, is it possible that learning to create better relationships with peers in the organization was considered a personal issue by some of the coaches in the study because it wasn't directly related to increased sales or production? We don't know. Finally, I would also suggest that when someone is considering a coach, and don't know what to look for, it may be wise (as a starting point) to look for a coach who has had business experience and some training in coaching from an International Coach Federation accredited school. Business experience provides a framework for the dilemmas an executive faces. If a coach hasn't worked in it, how can they understand it? And since there is a fair amount of science out there about change management and how individuals learn and adapt, then training is important from the standpoint of understanding and utilizing the best practices in this arena. The skill set of coaching can be very different (and much harder) than expected, and some are naturals at it, others are not. The training will provide some assurance that the coach has at least had some learning in "best practices" in how to develop others and help them to sustain the changes long after the coach has walked out the door. Wow, thanks for the added color! It’s always nice when the comments exceed the value of the original post. I’m sure readers will get a lot from reading insights from the real coaching pros. Thanks for that balanced presentation, Dan. I want to echo Mary Jo's comments on experience. I think that coaches need to know who they should decline to work with. I have plenty of business experience and I've written about business issues for years, but I only limited experience working in a large corporation. That means I'm fine with small to midsized biz folks, but say "No" to coaching major corporate types. I'll leave those to the other commenters who can do the job right. My point is that I think we have to be responsible for our own due diligence and not throw the full burden on potential clients. Wally,thanks for the point about due diligence. I agree! Yet I find it disturbing that there are those who are out there that see dollar signs in coaching and will coach anyone, anywhere for a few bucks. So often, potential clients don't know what to ask about a coach's background. It's also unfortunate that the "coaching industry" (whatever that is) has perpetuated the myth that as a coach, you don't need to know anything about the context that your client is working in. The ideal situation is as you have stated - we self-regulate. One thing I didn't mention is that coaches should follow (and be able to produce and discuss for the potential client) a code of ethics. This should include things such as business background, confidentiality, etc. When I hear stories about "coaching gone wrong", its often from the standpoint of lack of ethics. I'm heartened that through articles like the HBR one that Dan has cited, dialog such as this, and perhaps some future research, we'll all better understand the credentials and background that is important for executive coaching. In the meantime, I do think we're still in a state of "buyer beware". Great post! As a consultant who is unqualified for and adamantly avoids being in a coaching position (I'm a compensation expert, so that shouldn't be surprising), I particularly appreciate your - and Steve's - thoughts about how to constructively address the personal issues that can surface in any kind of advisory engagement. Believe it or not, this happens a lot to me, particularly in dealing with thorny executive compensation issues. Your ideas and Steve's steps give me great help via a structured approach to follow, and a sense of where the guardrails should be. Thanks! The author does a great job of summarizing the article. BUT...the article is completely off-base, and is typically as misinformed and misleading as other HBR articles. First, who were the "140 leading coaches"? They were more likely management consultants and not people with coach specific training. The qualifications of this group is even more mysterious than Dan's comment about coaching being a mysterious industry. One set of comments that validates the management consultant hypothesis is the characterization that coaches were hired to "fix obnoxious CEOs..." You're talking about psychologists or management consultants, not coaches. It's not that coaches will not work with troubled executives; it's just that psychologists and management consultants keep complaining about the lack of training for coaches, which is patently not the case. It's the consultants that have virtually no training, and the psychologists that have training that is totally irrelevant to helping executives get results. Thanks for the comment, feel free to disagree with me anytime, I welcome it. But you've also slammed HBR, 140 coaches, the consulting and psychology professions. Wow. Great summary Dan - Thanks so much for sharing! I've featured your review of the HBR article in my weekly Rainmaker 'Fab Five' blog picks of the week (found here:http://www.maximizepossibility.com/employee_retention/2009/06/the-rainmaker-fab-five-blog-picks-of-the-week-3.html) to share your highlights with my readers. Good question. Who knows? Coaching is no longer a passing fad and seems to be here to stay. The good ones will continue to thrive, and healthy competition should weed out the wanabees. Everybody Knows About Your Weaknesses – Do You?